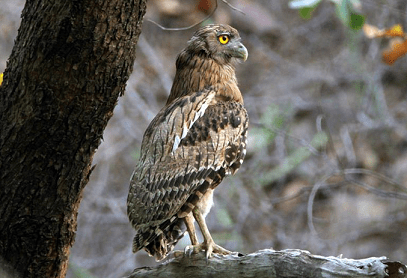 Mukundra Hills (Darrah) National Park – complete detail – updated. Dominant flora and fauna of Mukundra Hills (Darrah) National Park. 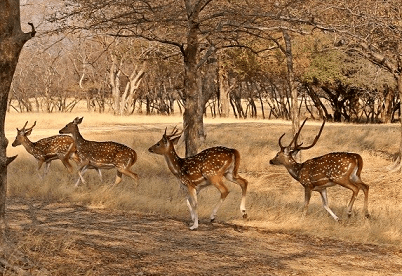 How to reach Mukundra Hills (Darrah) National Park. 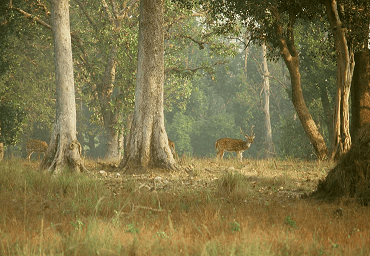 Darrah was declared a (Protected area) wildlife sanctuary in 1955. The forest of the sanctuary is very thick and dense. The Darrah wildlife sanctuary was declared as a National park (Mukundra Hills (Darrah) National Park) in 2004. Total area of the National park is about 200 km2. 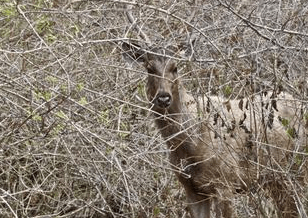 The park got the nod from National Tiger Conservation Authority (NTCA) in 2013, and the state (Rajasthan) bagged its third tiger reserve in the form of the Mukundra Hills Tiger Reserve. The densely wooded Darrah Sanctuary is spread all over the hilly terrain. 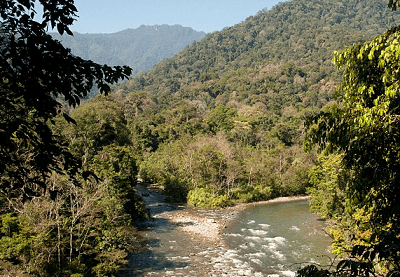 Mukundra Hills National Park is also known as Darrah wildlife Sanctuary. 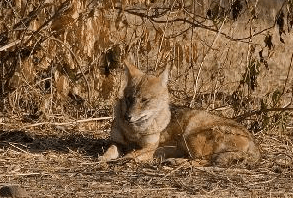 Darrah wildlife Sanctuary is located in Rajasthan. The sanctuary is located to the southeastern border of the town Kota. 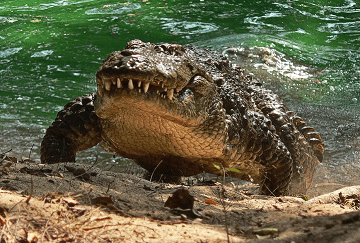 Darrah was declared a (Protected area) wildlife sanctuary in 1955, and visitors now require to seek permission from the local forest ranger to visit the park. The total area of the sanctuary is about 250 km2. In past, Darrah sanctuary was the royal hunting ground of the Maharaja of Kota. This place is located at a distance of about 50 km from Kota. It is located on the eastern bank of Chambal River and is drained by its tributaries. The Darrah wildlife sanctuary was declared as a National park (Mukundra Hills (Darrah) National Park) in 2004. Total area of the National park is about 200 km2. 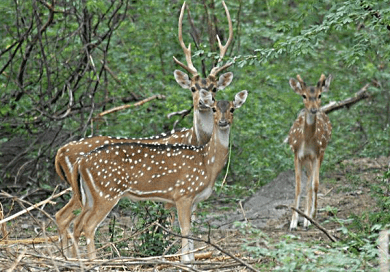 Mukundra Hills (Darrah) National Park is a combination of three wildlife sanctuaries namely Darrah wildlife sanctuary, Chambal wildlife sanctuary and Jaswant Sagar wildlife sanctuary. The park got the nod from National Tiger Conservation Authority (NTCA) in 2013 and the state (Rajasthan) bagged its third tiger reserve in the form of the Mukundra Hills Tiger Reserve. But now perhaps it is the one of its kind without a tiger in it. The name Darrah is taken as the ‘pass’ in the local language revealing the purpose that the region served earlier. The Marathas, Rajput’s and the British utilized the opportune position of the forest to seek asylum during war. The park is situated between two parallel mountains viz. Mukundra and Gagrola which run across a length of about 80 km (from Murlipura to Rawatbhata). The four rivers which form the boundary of this valley are Ramzan, Ahu, Kali and Chambal. The densely wooded Darrah Sanctuary is spread all over the hilly terrain. The forest of the sanctuary is very thick and dense. Babul (Accasia nilotica), Imli (Tamarindicus indica), Banyan (Ficus benghalensis), Ber (Zizyphus mauritania), Dhak (Butea Monosperma), Dhok (Anogeossispendula), Kadam (Authocephalus cadamba), Khajur (Phoenix sylvestris), Khair (Accacia catechu), Karel (Capparis decidua), Khejda (Prosopis specigera), Kakera (Flacourtiaindica), Mohua (Madhuca indica), Neem (Azadirachta indica) etc. Panther, Sloth bear, Wolf, Leopard, Chinkara, Spotted deer, Wild boar, Antelope, Sambar, Nilgai, Jackal, Hyena, Jungle cat etc. Many species of birds and reptiles are also found. Jhalawar Fort – The Jhalawar Fort that lies in close proximity from the Darrah Sanctuary is a marvelous structure. Jhalawar Fort is a beautiful place to watch. Jairapatan – Jairapatan constructed in the 10th century is another attraction that the tourists must-see. It has preserved the ruins of the Sun Temple. Visitors can visit the national Park throughout the year, but the best time to visit is between February to May. The sanctuary is open all through the year except between 1st July to 30th September. The sanctuary is open for the visitors from 10 am to 5 pm every day. Tourists have to take a signed permission from the local forest ranger in order to visit the sanctuary. The visitors can explore the wild side of Rajasthan during this time enjoying the comfortable weather. 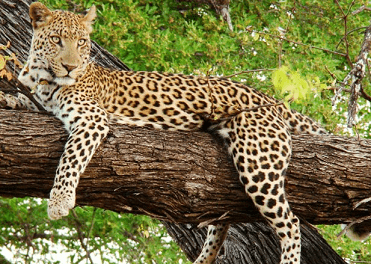 By air – The nearest airport from Mukundra Hills (Darrah) National Park is Udaipur which is around 300 km from Kota. By Rail – Nearest railway station is Kota railway station located about 50 km from the Mukundra Hills (Darrah) National Park. By road – The nearest bus station to Darrah is the bus station in Kota at the Bundi road close to the eastern shore of the Chambal River. This station provides good services to all the major cities of Rajasthan like Ajmer, Chittorgarh, Jaipur, Udaipur, etc. Other National Parks in Rajasthan. Name of National Parks, Year of Notification and Total Area is as follows……..
sirji forester mukandra park ka result kb aayega.us exam ka quest.no 26 “b”series ka m sbi opction galt h.240 meel hota h.jbki ques.m km m ans.pucha tha.plz us que.ka bonas diya jaye ya delete kiya jaye.